We’ve developed a new module called Auto Import. This new module helps you import products automatically. You just need to set a keyword, setup how many pages to import and simply add it to Queue. You can also setup the recurrence, how often to import products. After you did that, the Cron will import products at the recurrence time you set up. You can see the status of the autoimport, delete, publish / unpublish, see if the products were imported or if there was an error, when it started, ended and when it will run next. In this version we have a new feature regarding images, more exactly now you can use the products images straight from Amazon’s CDN. Amazon CloudFront is a global content delivery network (CDN) service that accelerates delivery of your websites, APIs, video content or other web assets. It integrates with other Amazon Web Services products to give developers and businesses an easy way to accelerate content to end users with no minimum usage commitments. What are the benefits of using this? Boosts performance of your website using the Distributed data centers. Amazon’s CDN makes your website’s images available from data centers around the world (called edge locations). When a visitor requests a file from your website, the request is automatically redirected to a copy of the file at the nearest edge location, which results in faster download times than if the visitor had requested the content from a data center farther away. Worried about google finding duplicated content? We’ve developed a new module called Automated Amazon Content Spinner that will automatically spin the content that comes from Amazon upon import. That way, you can have unique content with minimal efforts. How does it work? Well it’s very easy. You can use this module in 2 ways. One that is fully automated and when you import a product from Amazon the content will automatically be spinned using thesaurus built in database. You can setup how many words to be replaced, even all possible replacements. The second way is to do it manually on each product, using a user friendly interface. There’s also an option to rollback everything. Using the Products Stats module you can see statistics of your products. You can see how many hits they have and how many times they were added to cart. Also, you can see how many redirects you had to Amazon. 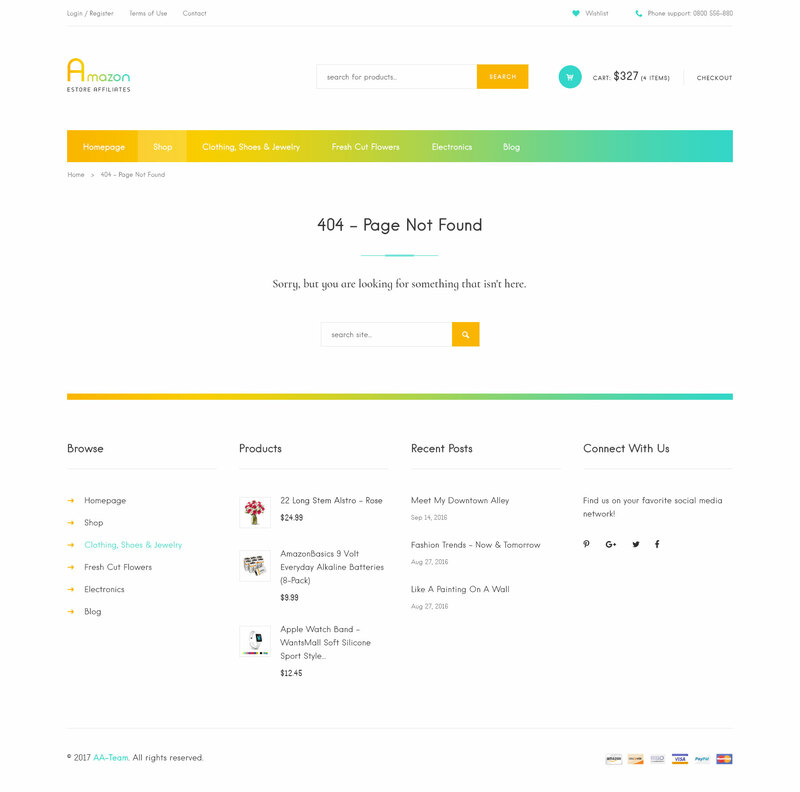 This is very useful to prevent cart abandonment, and to see what products are more popular. Choose from over a million products & earn advertising fees from the 1’st internet retailer online! You can earn up to 10% advertising fees from the 1’st trusted e-commerce leader with minimal effort. Depending on Special promotions, deals and big events the advertising fees can get up to 25%! Turn your Wordpress Website into a money profit generator! Advertise Amazon products on your wordpress website and earn advertising fees from Qualifying Purchases. You can also receive advertising fees from all products your visitors buy, visit, not just the products you advertise thanks to our 90 days cookie feature. 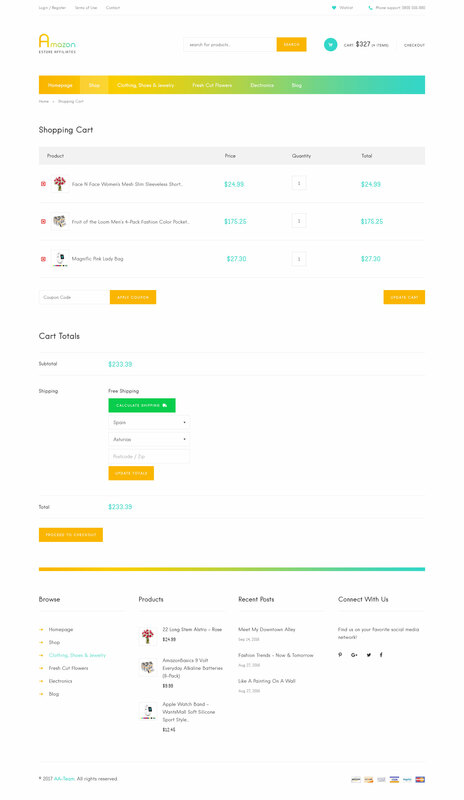 Also, our On Site Cart feature allows your customers to checkout with multiple products on Amazon, and that means multiple commissions for you! Great SEO content for your products, our Amazon eStore Affiliates Plugin takes all data available for all Amazon products: Title, Prices (regular prices, sales prices and all prices variations), all products attributes, product reviews and full products descriptions. Want to give your users the opportunity to choose from Amazon Product Variations ? We’ve implemented this feature also! Allow them to choose different variations of sizes / colors / prices and so on for each Amazon Product. Using our Amazon eStore Affiliates Plugin you can bulk import hundred of products from Amazon into your eStore eStore in just a flash. Our newest version has an ultra fast import system, in which you can import products in less than one second! The plugin is build on our custom AA-Team framework, and based on modules mananger , very easy to use & administer. On our Advanced Search & Bulk Import Module, you can Search by Categories / Subcategories / Keywords, select the products that you want, and click import! It doesn’t get any easier! 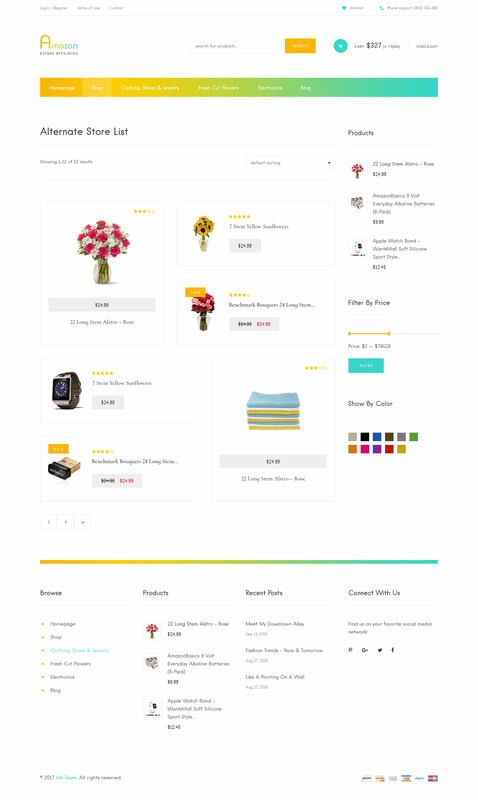 Also depending on category, you can filter products by Brand, Condition, Manufacturer, Maximum / Minimum price, Merchant Id , Product minimum percentage off and of course by Bestsellers, Rank, Sales flag, and so on. If you want to MASS Import Products from Amazon, you can do so using the CSV module.All you need is a ASINS list. Amazon products change all the time, especially prices and stock units. Using our Synchronisation module you can keep products up to date using a custom Cron Job. Add multiple affiliate ID’s (International Amazon Associates / Globalization) Target users from all over the World! Take advantage of all Amazon Associates Programs and maximize your income! You will have users from anywhere being redirected to the closest Amazon eStore based of their location. We have available facebook integration as well. 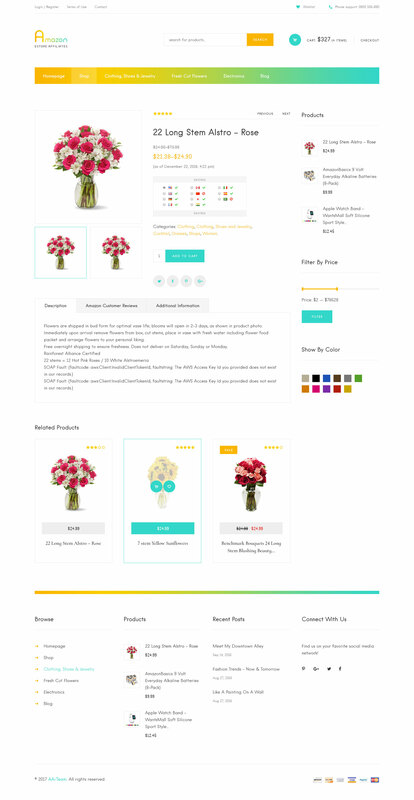 You can target the Facebook Market and showcase your Store Products as well in just a few minutes! Works as plugin on any Wordpress Install. Choose from any Amazon Location – Worldwide, Amazon Germany, Amazon United Kingdom, Amazon Canada, Amazon France, Amazon Japan, Amazon India, Amazon Italy, Amazon China, Amazon Spain. 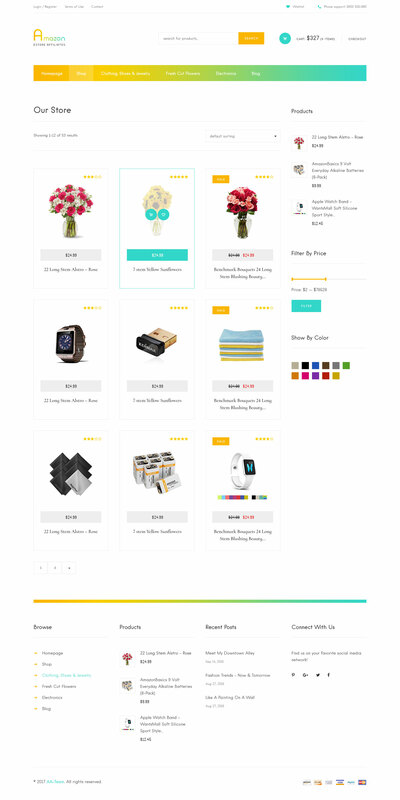 90 days cookies feature - With this feature, when a user is redirected to amazon, the product is automatically added to cart and kept there for 90 days (this boosts your conversions also!). On Site Cart feature! This option will allow your customers to add multiple Amazon Products into Cart and checkout trough Amazon’s system with all at once! Products Variations – Get product variations. Be carefull about Yes All variations one product can have a lot of variation, execution time is dramatically increased! Default publishing- import the products as Published or Draft. Cross Selling Items – Select if you wish to display cross selling products. Images gallery in product description – select if you wish to display it or not. One second import! Search for products using the Advanced Search and Bulk Import module. Upon import all parent categories and subcategories will be imported. Mass Import products using the CSV module. All you need is a ASINS list. Facebook Too!Facebook Integration also! With Like Locker! 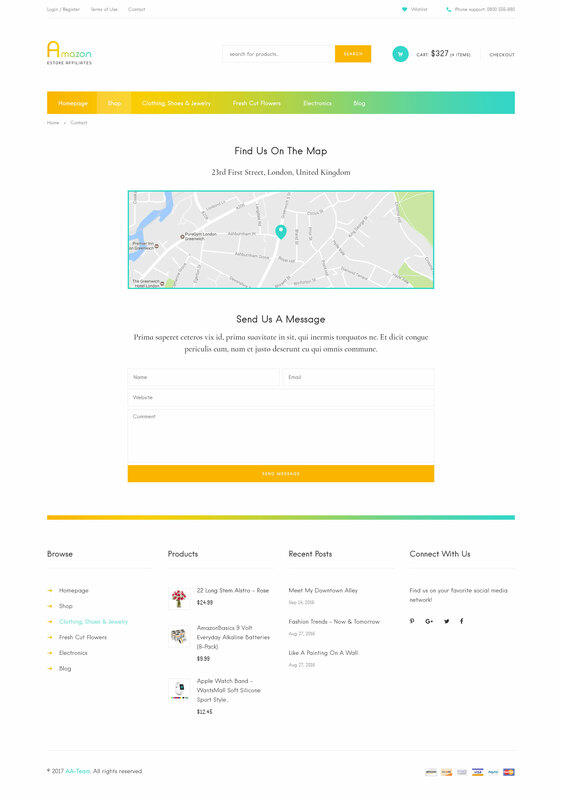 Feature your store on Facebook as well in just a few minutes. Setup / Backup Module – install default plugin settings, backup current plugin settings, and backup current eStore products. As you may know, we have a live demo for our users to see / test the plugin. We were kind’of amused when we looked into our Amazon Affiliate account, and saw that products were bought from Amazon, trough our demo website. So, our plugin really works, we’re the living proof of that! Amazon affiliate account (https://affiliate-program.amazon.com/) in order to get the money! First of all please, using WinRar unzip the package that you downloaded, don’t try to install the whole archive as plugin on wordpress because it won’t work. AA-Team does not permit, under any circumstances, the reselling of any of our plugins / themes outside the Envato Marketplace. The Extended License does not allow you to resell / redistribute the plugin without written permission from AA-Team. 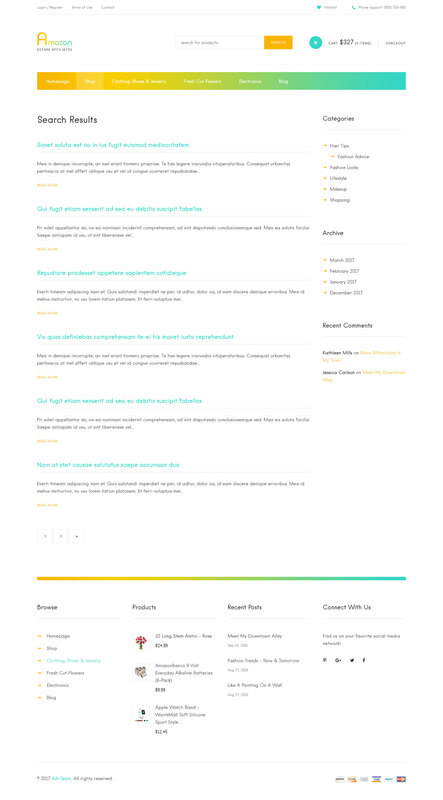 If you’re an Envato Author and wish to include our plugins into your themes, please contact us. You can read more about licenses here and here.